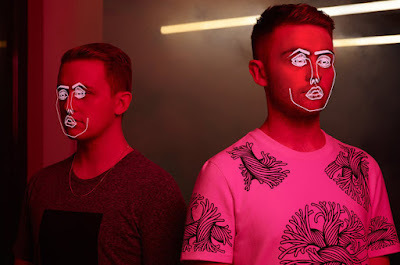 Of all the letdowns of 2015 – the cancellation of that new scary Silent Hill game, the Mayweather-Pacquiao fight, my second-hand toothbrush business failing to take off – Disclosure’s Caracal LP was probably the most hard-hitting. But it’s okay, we can all thankfully stop crying ourselves to sleep about it now, because Disclosure are back already to reclaim their awesomeness with a new infinitely-better EP Moog For One. There are less slow synth slogs and more sample-based funky jams – ‘Feel Like I do’ being my favourite track of the bunch featuring vocals from sultan of smoothness, Al Green. Yes, seductive female pop is not in short supply. There are practically thousands of other songstresses out there on the interwebz sporting the same breathy vocal style as Lily Elise. However, they didn’t think to create a song as catchy and fun as ‘Let Me Down’, so that’s their problem. The lovelorn lyrics and slinky synths add to the charm. See above - London artist JONES is yet another artist tackling the seductive female pop market, only her track takes a happier and groovier route than Lily Elise’s. If you’re in need of a summer anthem to melt to, look no further. POUR YOURSELF AN ACID BATH AND SLIP THIS ON. Good rock should always have an unhealthy dose of angst in it. These Bristol rockers are practically drunk on angst, singer Ellie Roswell’s vocals being sighed out with a mixture of apathy and pain, matched by some brilliantly horrible screeching guitars. How can a riff be so ear-piercingly jarring and yet so curiously addictive? So far, I haven’t heard a bad single off of this Canadian jazz trio’s upcoming album. It’s all been blissfully GOODGOODNOTBAD (pretty sure I used that pun two years ago on this blog, and it wasn’t original then). The Canadian jazz/funk/soul trio’s latest gloomy single ‘Lavender’ is no exception, and features electronica wizard Kaytranada, who adds to the groove. I'm particularly liking the jazzy chord progression in the middle there. Combining weed worship and gym worship, Snoop and Wiz Khalifa deliver this awful anthem for stoners and bros alike. Music for the two most vacuous types of human being.